Try the World offers up one of the most delightful subscription gourmet boxes for a mere $45.00 every two months. Shipping is free and you may cancel your subscription at any time. 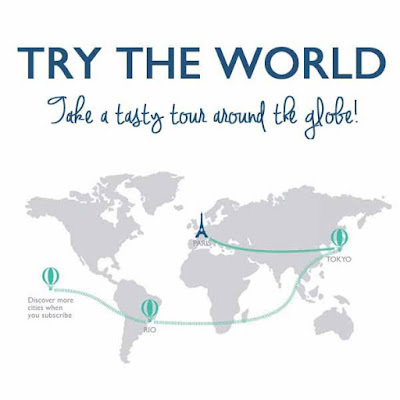 Try the World will select an awesome, foreign destination from which to select their gourmet goodies and treats. Without regard for when you begin the service, your first box will come from Paris, France, then Tokyo, then Rio and on from there (Try the World will not reveal any more than that). The boxes are shipped out at the end of the month and will normally be received within a 5-8 business day span. Your gentle National Product Reviewer has never experienced such a thing. However, the experience is nothing less than a sheer delight. It's a lot of fun too! If you wish to test the waters, so that you may acquire this knowledge firsthand, Try the World has graciously offered us a special discount worth $10.00 to try the first (Paris) Box. You need not knock twice either. 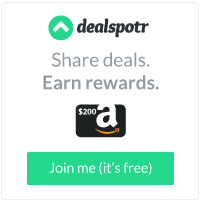 Simply use the code: WORLDTREATS. That's it. 1 package of postcards: a welcome message from founders Kat & David, a list of what one can expect to find in a Try the World box, cards about french culture and 1 Try the World postcard with postage already on it!